Let’s be real, there is something so amazing about eating food by an open fire at a campout. Food just tastes better outdoors, especially this Sprite Chicken! This recipe is a family-favorite of ours. I remember the first time Kale’s Dad made it for us. I was in heaven. It is so delicious! When I bought my first Dutch Oven I knew this was the first thing I would make in it. 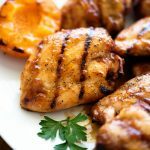 I posted both ways to make this chicken, so you can enjoy this deliciousness whether your at home or at a campout. Bon appetit! 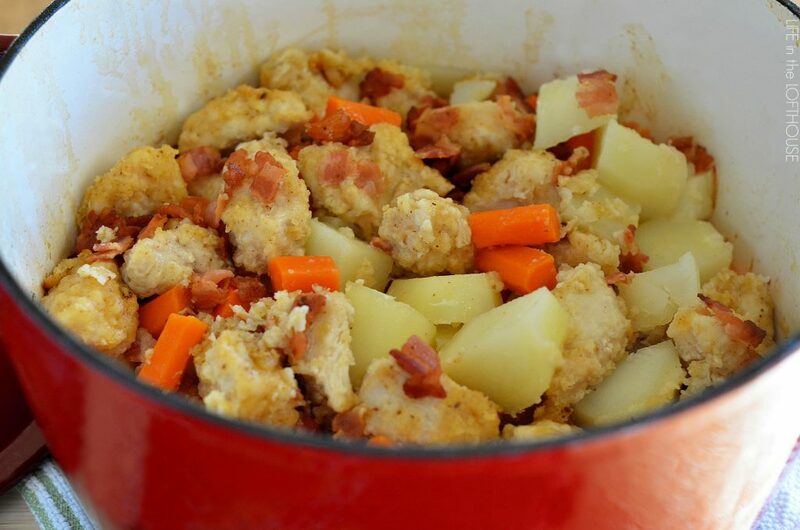 Delicious chicken, potatoes and carrots cooked in a Dutch Oven. The flavor of this meal is incredible. Enjoy at home or at a campout! 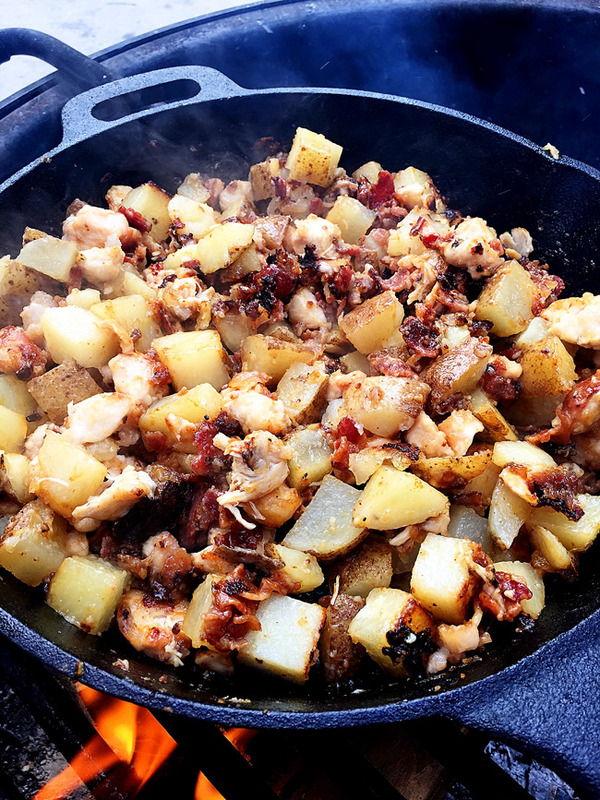 Fry bacon in dutch oven on camp chef or stove top until crisp. Remove bacon pieces with a slotted spoon, leaving grease inside. Set bacon aside. Combine seasoning salt and flour in a large gallon plastic bag. Add chicken to flour mixture and shake to coat. Add coated chicken pieces to dutch oven and and brown in bacon grease. In this order add onions, then potatoes, carrots, chicken and bacon to dutch oven. Pour Sprite all over the top. Cover with lid. Bake at 350° F for 1 hour. Carefully remove from oven. Remove lid and let stand 5 minutes before serving. You can easily double this to serve more, just use a larger dutch oven. 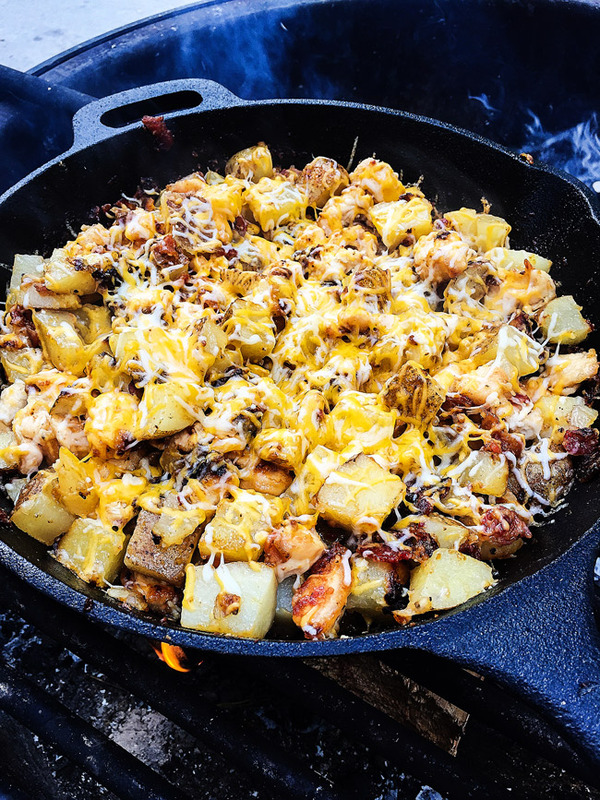 Now take a peek at the pics below of this deliciousness cooked at a campout! 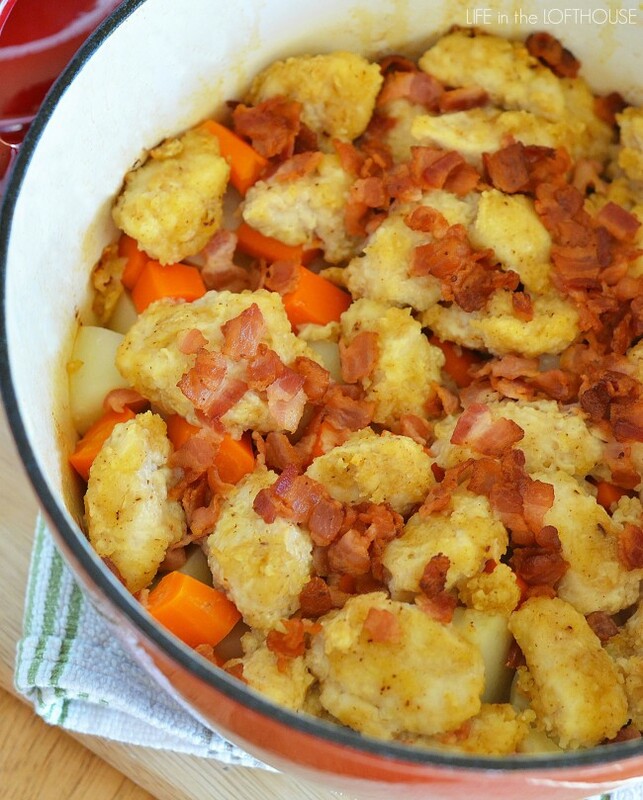 Is there a way to make this if you don’t have a Dutch oven? Could you use a crockpot or just stovetop? We tried this Saturday, and we enjoyed it, thanks for sharing. Just wanted to say that I just made this for dinner and it is seriously the best thing I have eaten in a long time! So good! It will definitely be repeated in this house! I’d like to double or even triple this recipe for our fall hunting party. Will this work in a roaster pan? Can you use a crock pot instead of Dutch oven? This is a great dish! Wondering though, I don’t taste the sprite. I used exactly 6 ounces and sprinkled it all over the top. Thoughts? Hi Helen! No you can’t taste the sprite. It’s just there to give the mixture some moisture as it cooks. I put this together at noon and set it in the oven on a delayed time bake to be ready when I got home for dinner. The kids said the house smelled really good when we walked in. I mixed carrots & cauliflower & peas because cooked carrots aren’t their thing. For the soda I subbed chicken broth and apple juice with some lemon & lime splashed in. I guess that makes it not Sprite chicken anymore but it was good nonetheless! I substituted the seasoning salt mixture for lemon pepper Mrs. Dash. There is no sodium in the Mrs. Dash and it gives the chicken a little citric zip. I’m making this for a crowd, and we’ll have several Dutch Ovens with regular dutch oven potatoes. Have you ever made it without the potatoes? Great recipe! I have a son with food allergies, so we just substituted the flour for gluten free four , and used a chicken seasoning along with salt and pepper. Also, we were camping and I only had ginger ale, and it came out delicious! Everyone went for seconds! 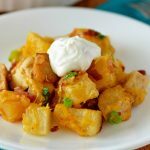 Pictures look like you used some kind of shredded cheese mixture, but it’s not in the recipe. Which cheese did/do you use? Hi Brandi, we sometimes like to add Colby-jack shredded cheese to this, but not always. That’s why I didn’t add it to the recipe card.